My wife and I were introduced to tri-tip steaks a few years ago when we attended a party hosted by our good friend Anohla’s family. Mr. Alapan, Anohla’s Dad, served up some delicious and amazing tri-tip steaks that were beautifully crusted on the outside, super tender and juicy on the inside, and perfectly flavorful all around. My wife and I LOVED IT. Not going to lie, these tri-tip steaks were absolutely some of the best steaks we ever had and we couldn’t stop talking about it. So, being the curious person I am, every time I attend Anohla’s party where tri-tip steaks are being served, I would walk over to the BBQ station and watch Mr. Alapan and a crew of guys grill up the steaks, observe how the steaks are being grilled, and look around for ingredients that could be used in the marinate to make the steaks taste so amazing. Hahaha, I kinds sound like a stalker right now, but man, they’re beefy good. 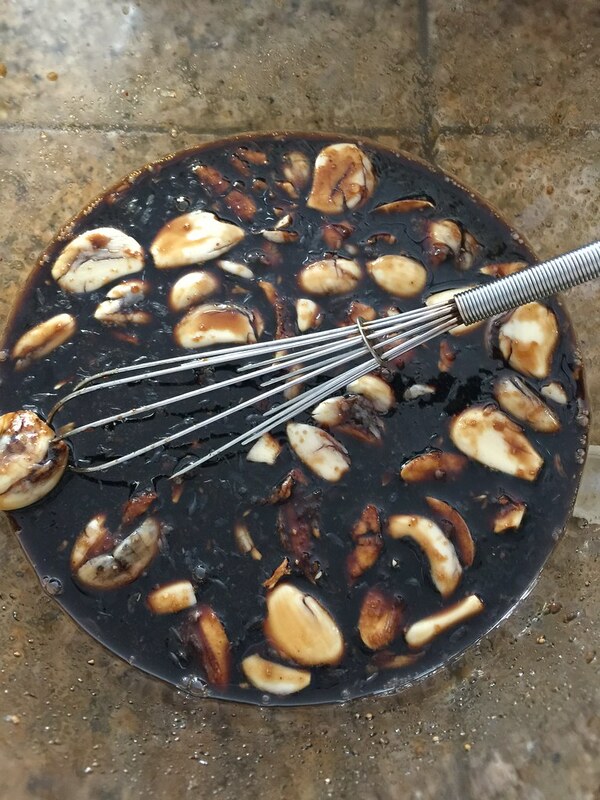 This recipe uses a soy sauce marinate similar to what I tasted at Anohla’s family parties, but I added a few other ingredients I think goes well with beef and it turned out pretty darn good. 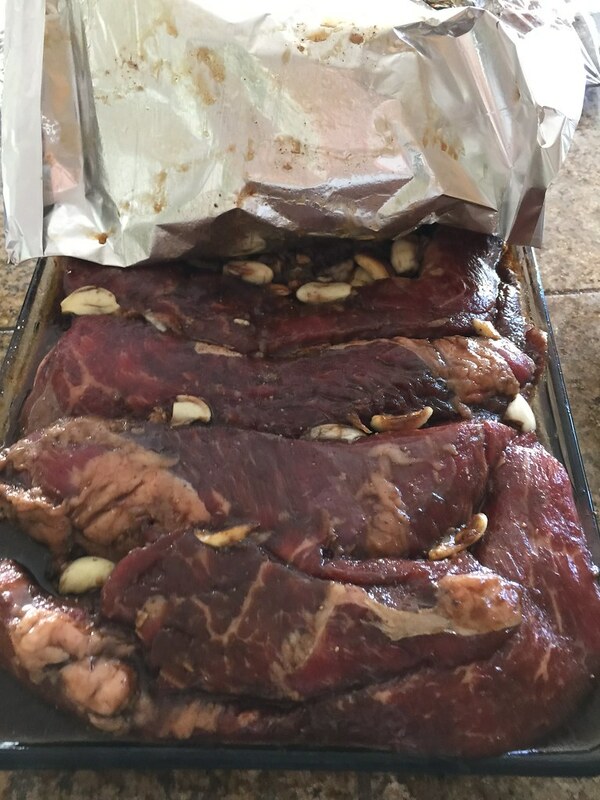 Marinate Tri-tip Steaks: In a large mixing bowl, whisk together soy sauce, water, brown sugar, vegetable oil, black pepper, and garlic. Add tri-tip steaks into large bowl and coat evenly. Marinate for at least 2 hours. Grill Tri-tip Steaks: Set up two-zone fire on the grill for indirect grilling. Clean grate and then oil the grate. Sear tri-tip steaks on each side on the direct heat for 2 minutes per side. Transfer tri-tip steaks to indirect heat. Cover grill with the lid with vent holes fully opened and over the tri-tip steaks. Cook on indirect heat for 10-15 minutes or until steak reaches 135 degrees for medium rare. Remove tri-tip steaks, cover with foil, and let rest for 10 minutes. Slice against the grain. 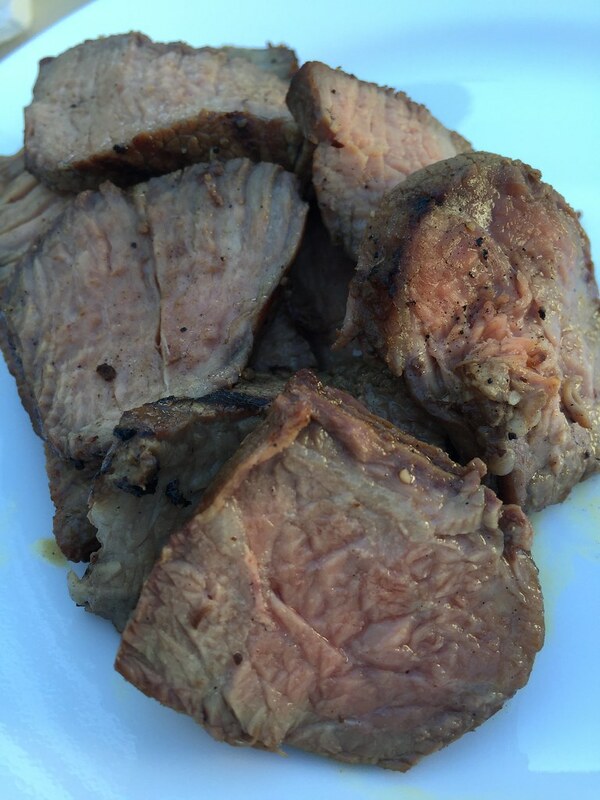 You can use regular tri-tip for this recipe. Increase searing time on each side to 4 minutes and increase indirect cooking time to about 25 minutes or until middle of the tri-tip reaches 135 degrees for medium rare. Cook longer on indirect heat if you want the steak cooked more. Here’s a great Meat Temperature Guide to help you cook meat to the temperature you like. Slicing against the grain is important to make the meat easier to chew. Thinner slices of meat maximizes meat tenderness.